Great day for women in #Lebanon. Article 522 has been finally abolished. This is another proof that anything good that happens in Lebanon is the result of the action and hardwork of civil society and activists. The next step is to repeal Articles 505, 518, 534 and other outdated, discriminatory laws. When one knows his/her history, one can move more assuredly towards the future! Science makes the #Arab myth weaker & weaker everyday. Know your history! A recent, genetic study suggests that present-day Lebanese descend from Biblical Canaanites. Scientists sequenced the genomes of 4,000-year-old Canaanite individuals and compared these to other ancient and present-day populations in Lebanon. Read more about it here. Lebanon is a small country with a ridge of limestone mountains close to its coast. Most of its fresh water is stored in mountain snowcaps or in the ground, the rest of it washing through cracks and caverns into the sea, feeding the thousands of wells that supply water to the capital of Beirut and its surrounding areas along the way. Read more…. Here’s an inspirational story from Mexico! Once considered an eyesore, the low-income neighborhood of Las Palmita’s is now a site to behold. 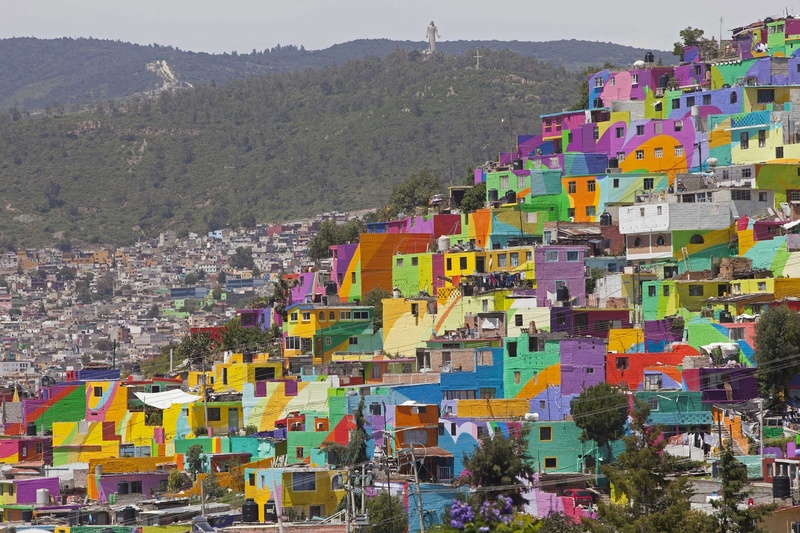 Hundreds of houses in Pachuca’s Las Palmitas neighborhood painted into swirling rainbow in effort organizers say has changed character of the area. Read more…. There’s always a solution for garbage. One just has to have an imagination and a vision, both of which all politicians in Lebanon lack!